Substitute Shane Long headed a late equaliser for Southampton as they played out a thrilling 2-2 draw with Newcastle at St James' Park. Long, who replaced the returning Jay Rodriguez, earned his side a point after Georginio Wijnaldum's header had given Newcastle the lead in the second half. Saints had initially gone in front thanks to Graziano Pelle's sublime header, but that was cancelled out just before the break by Papiss Cisse. Sadio Mane had two great late chances to ensure Steve McClaren's first Premier League game in charge of Newcastle ended miserably, but a draw was a fair result after a thrilling encounter. Wijnaldum almost got his debut off to a dream start after being picked out on the edge of the box by Moussa Sissoko, but the Dutch forward saw his goalbound effort well blocked by Steven Davis. Krul was forced into two smart stops as Southampton pressed, and on 24 minutes, they broke the deadlock with ease. Debutant Cedric Soares whipped a delightful ball in, but under little challenge from the Magpies backline, Pelle headed his third goal of the season past Krul, despite the Dutch ‘keeper’s best efforts. Newcastle were enjoying plenty of the ball, but other than a few meaningful breaks into the box from Moussa Sissoko, they offered very little direct threat. However, the home team levelled on 42 minutes, after Massadio Haidara’s cross looped off Mane, deceived Maarten Stekelenburg, and Cisse was on hand to chest in almost on the goal line. After the interval, Maya Yoshida should have scored from close range with a header, which Krul somehow kept out with his trailing leg, and the Saints defender was immediately made to pay. On the counter, Gabriel Obertan raced clear before whipping a pinpoint cross right onto the head of the onrushing Wijnaldum who guided the ball expertly past a stranded Stekelenburg to put Newcastle ahead. The hosts looked good value for their lead, and were comfortable soaking up Saints possession, but eventually Newcastle were made to pay for standing off too much. Dusan Tadic was allowed far too much time to pick his cross, and the Serbian centred for substitute Long, who scored the game's third perfectly-placed header to bring the scores level again. Mistakes crept is as the teams started to tire, and the lively Mane could, and maybe should have won it for the visitors. First he cut inside, threw a dummy, before curling just past the post, and then after again running at the heart of the Newcastle rearguard, the Senegalese forward side footed wide, with Krul beaten. Both McClaren and Ronald Koeman, watching from afar after injuring himself in training in midweek, will take plenty from this, but the defending left much to be desired. 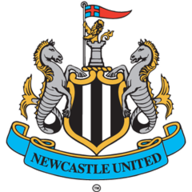 Newcastle: Krul (7), Haidara (6), Coloccini (6), Mbemba (5), Janmaat (5), Anita (5), Sissoko (8), Colback (6), Wijnaldum (8), Obertan (7), Cisse (7). 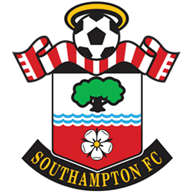 Southampton: Stekelenburg (6), Targett (5), Yoshida (5), Fonte (6), Cedric (5), Wanyama (6), Davis (6), Tadic (6), Mane (7), Pelle (7), Rodriguez (5). Subs: Martina (6), Long (7).